Christopher B Wagner is a sculptor originally from Kentucky but has now made his home in Portland, Oregon. He predominantly uses recycled or reconstituted wood as his medium. His figurative sculptures are allegorical, referencing several mythological traditions while still maintaining a personal dialogue for the artist. 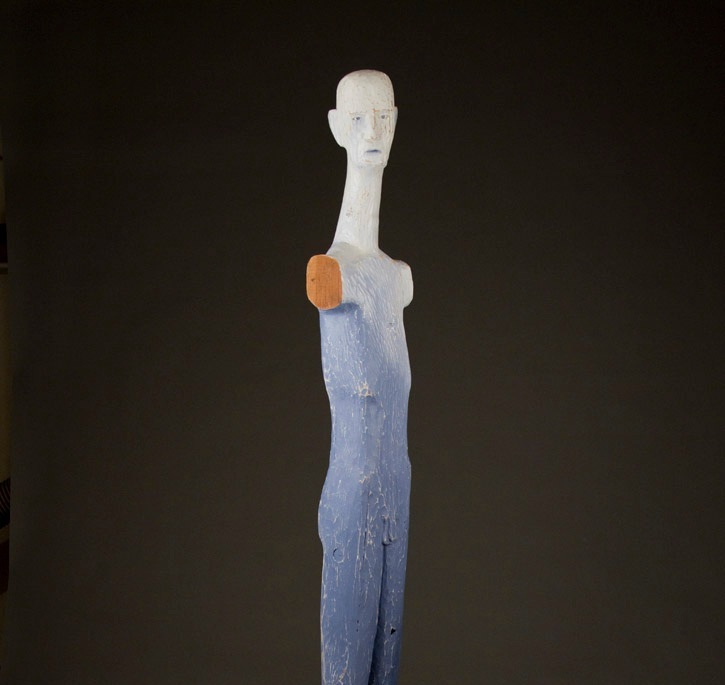 His earliest exposure to creating art was carving wooden figures with his grandfather. It wasn’t until much later during graduate school that he came back to this basic skill and rediscovered the joy of finding the figure within an organic material. Since then he has not only continued carving solid figures but has also experimented with nontraditional uses of hog casings stretched over wooden frames to bring his concepts to life. Christopher has an M.F.A. in sculpture from Edinboro University and a B.A. in Art from Georgetown College. He has participated in numerous group shows along with solo exhibitions on both coasts of the United States.